Help Center OnboardingHow can I email the registration page to group members? 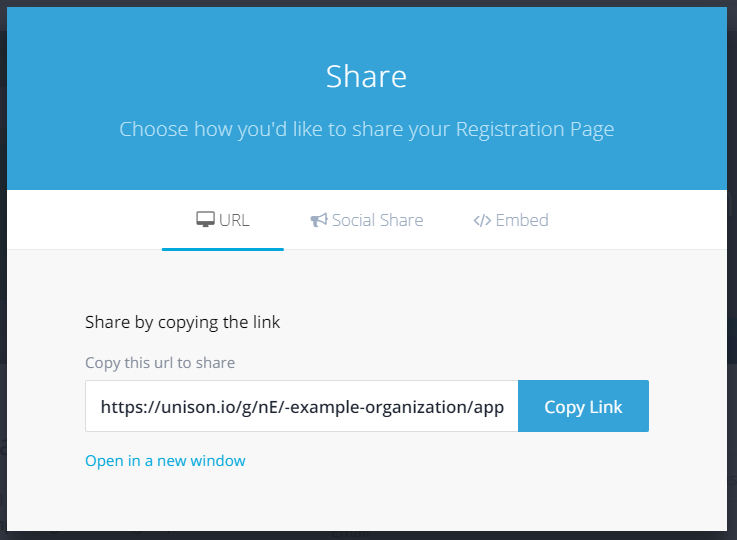 After you create and customize your registration page, click the Share button. In the box that appears, your URL will be displayed. Just click the "Copy Link" button to the right to copy the link to your clipboard. To paste the link into the text of your email, either right-click and choose paste or use CTRL/Command+V on your keyboard to paste the link into your document. 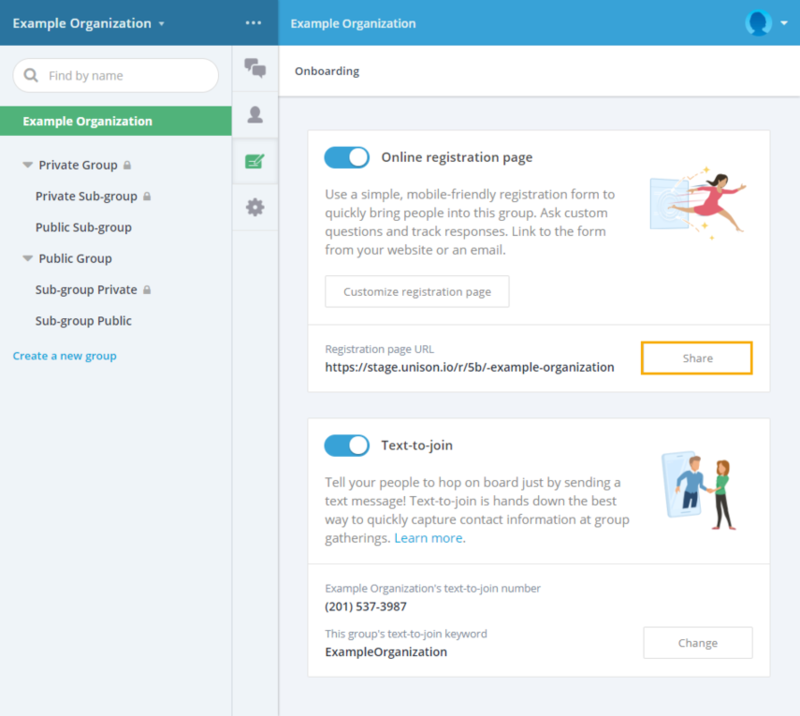 Prev: Can multiple members have the same contact information? Next: How do I process registrations?